Home » Press » Diary » Tulip time! 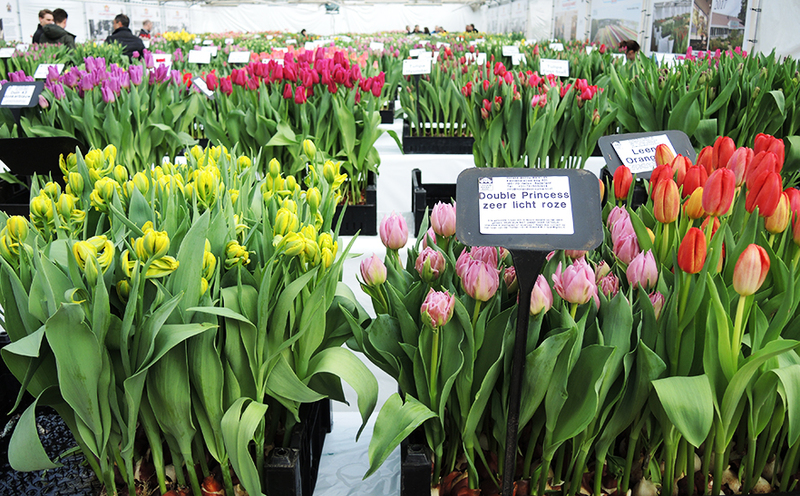 I have not long returned from some very sunny days in my fatherland for a Tulip Trade Event. In true Dutch celebratory style, Holland’s largest bulb exporter opened the 3 day event with a famous illusionist Steve Carlin who was mighty convincing and fun. But I was most bowled over by the glasshouses (not just one or two!) 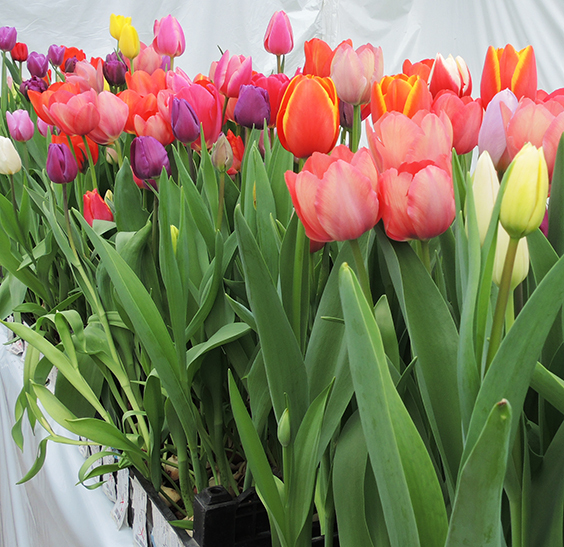 filled with hundreds of varieties of tulips in full splendour. I was keen to learn which ones repeat well (not many), see the new introductions and compare all for their particular qualities. It struck me again, as with so many flowers and plants, that amongst all the possibilities there are just a few that are particularly outstanding and beautiful. These are the ones that I shall be ordering for clients and my garden this autumn. I can’t wait to see their special beauty in gardens here in England next spring. There is nothing like bulbs, including narcissus, crocus, hyacinths as well as tulips to give a dramatic explosion of colour in spring – so refreshing after the short, often grey days of winter months. Dale & Heybrook supply individual bulb mixes to clients in Autumn, do contact us if you would like to be included.